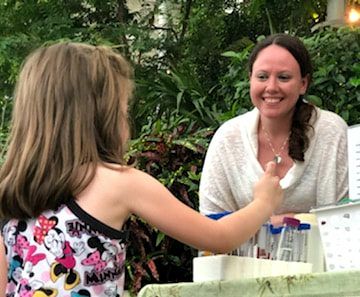 It is so incredibly important that, we as scientist, get into the community and engage in hands-on activities, increasing science literacy and restoring trust in data-driven science. I am a firm believer in practice what you preach and try to engage in outreach as much as possible. Here you will find upcoming outreach events that I am participating in, as well as past STEM outreach events. When possible, I will provide links to the activities that we did at the event and additional resources I may have. So lets get out into the community and do some science! Women in Science (WIS@DU) is committed to community outreach and engagement by visiting community schools and providing STEM enrichment. The events are led by a diverse group of female scientist, showing that everyone can do science! These outreach efforts have been made possible through money generously provided by Duquesne University, Leach Foundation, and EQT Corporation. NCSE provides monthly STEM outreach kits for community engagement, specifically surrounding the topic of climate change. These kits are used in community events, as well as for a monthly "Super STEM" program at The Carnegie Library of Pittsburgh, Hill District Branch.